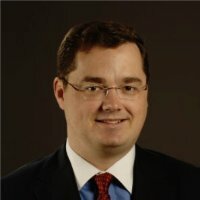 James co-founded CAASA in response to industry support for a Canadian alternatives association to serve all aspects including: hedge / alternative strategies; private lending; private real estate; private equity; plus emerging areas where Canada is a leader such as digital assets / blockchain and robo-advisors. Prior to CAASA, James was the Chief Operating Officer of AIMA Canada where his team of three worked with 12 committees to produce 50-60 events per annum across Canada, organize 100+ committee meetings, and increase member numbers over his 7-year tenure from 66 to 164 corporate entities. James also has experience in research and writing for the CAIA Association as well as serving on CAIA’s Exam Council and as a grader for the Level II portion of the exam. He also had roles in institutional sales and FoHF structuring in Seoul, South Korea, as a Product Manager at ICICI Wealth Management, and an Investment Advisor at RBC Dominion Securities. He graduated from Simon Fraser University with a BBA (Finance). Caroline is Vice President and co-founder of CAASA. 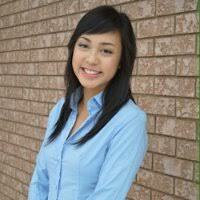 She works closely with members to establish and grow the Association’s initiatives both within Canada and abroad. She works to serve a broad range of alternatives with a focus on subjects where Canada is a market leader such as robo-advisors, private lending and digital assets. She believes that Canada has a solid, growing market of its own with a strong part to play in the global financial landscape. Previously, Caroline spent 5 years at AIMA Canada and during this time, corporate membership, events and committee engagement were doubled. She is a graduate of the University of Waterloo, holds a degree in Honours Economics with a finance specialization and has completed the Canadian Securities Course (CSC).